RANDOLPH COUNTY, N.C. — Randolph County Deputies said a man led them on a high-speed chase early Wednesday morning that resulted in a school lockdown. Deputies said Larry Hoover was sitting in a 2006 Dodge Ram truck on Southmonth School Road. Deputies noticed the truck matched the description of a stolen vehicle. When Deputies approached the car, Hoover took off. Hoover then lost control going around a curve and crashed into a fence near the Southmont Elementary School playground. A staff member outside the school saw the crash and told officials to place the school on lockdown. 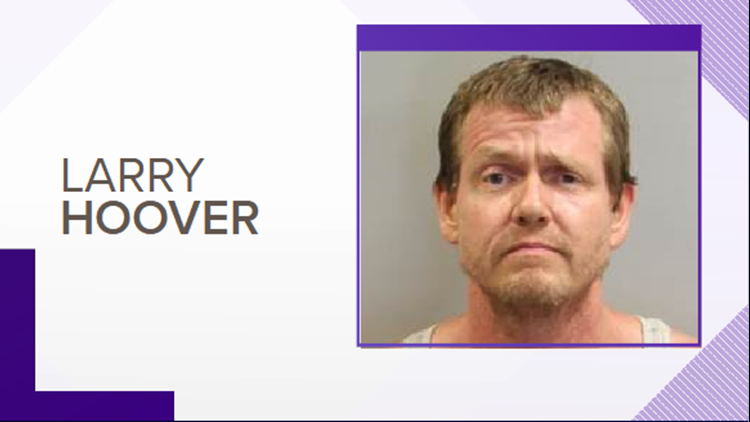 Investigators said Hoover tried to run into the school, but deputies were able stop him by making an arrest. No kids were on the playground at the time of the crash. Hoover was placed in the Randolph County Jail and is charged with Felony Larceny of Motor Vehicle, Felony Possession of Stolen Motor Vehicle, Felony Flee to Elude Arrest with Motor Vehicle, Failure to Heed Light and Siren, and Injury to Personal Property. His bond is set at $100,000.